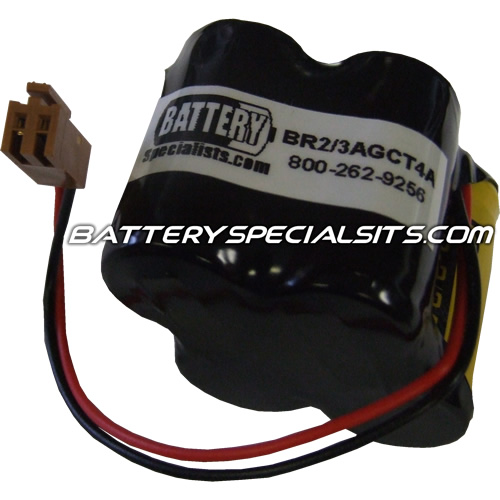 This GE Fanuc BR-2/3AGCT4A is a 3 Volt PLC Programmable Logic Controller Battery. Assembled in the US with genuine Panasonic BR2/3AG cells. Here at Battery Specialists we focus on finding the best quality option available for our PLC Programmable Logic Controller Battery then we assemble many models in house using the top-quality cells. This enables us to provide a top-quality product at a very competitive price. 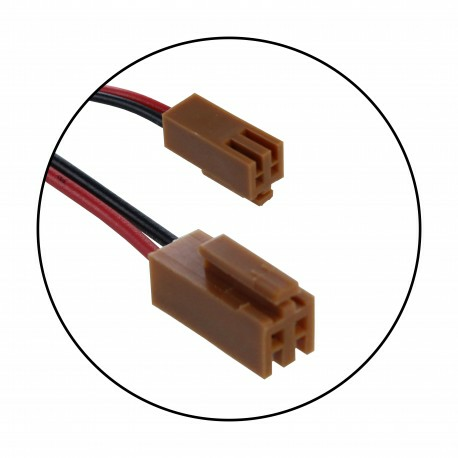 This GE Fanuc BR-2/3AGCT4A is use for many devices including Programmable logic controller CPU units, Robot Contollers, CNC System Amplifiers: , GE Fanuc 18-T , Alpha iSV , Beta iSV , Beta iSVSP . Dimensions: 1.80" x 1.38" x 1.33"